In my second month of joining this business, I've been having so much fun!! My little sister joined my team yesterday; my best friend and her little sister joined last week, and I'm making some side money just telling everyone how much I love this product! Before I jump in to product highlights, I thought I'd share a little background about the company, what the products are about, etc. They actually have a super interesting history. 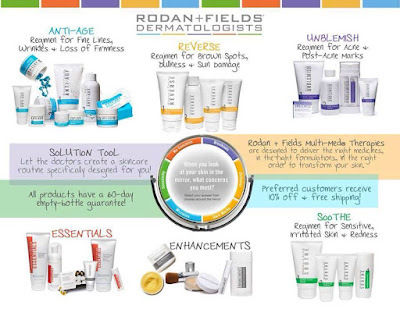 Doctors Katie Rodan and Kathy Fields, otherwise known as the Proactiv doctors, developed a skin care line that addresses a large range of skin care concerns, from rosacea to anti-aging. In 2002, they realized they should be share these products with a broader audience so, they sold the product line to Estée Lauder who took it to high-end department stores. They quickly realized they could do so much more to help change skin and change lives by partnering with people interested in becoming independent business owners. They knew that transitioning to a direct sales model would allow the company to reach more customers, sell more product, and ultimately, help individuals become successful entrepreneurs. In 2008, Rodan + Fields was the first company to successfully come out from behind the “glass counter” into the world of direct selling. It has been a huge success! Since then, the company has experienced triple digit growth EVERY SINGLE YEAR! 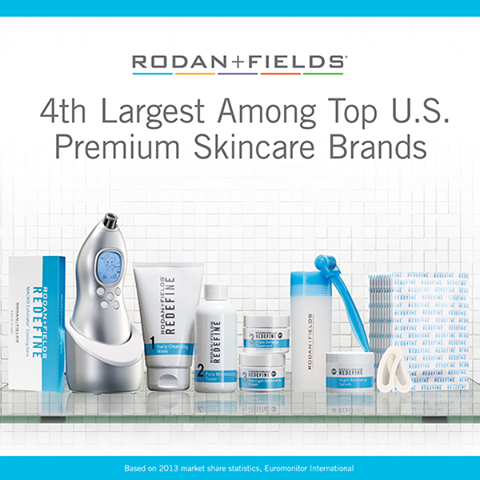 The cool news is, Rodan + Fields is just getting started! As a company we are debt free, growing in triple digits every year—in fact we grew our number of 6 figure annual income earners by over 128% last year. As a result of our fast growth, we are getting huge business accolades from the American Business Awards (for our case study with Harvard Business school), Ernst & Young, and the Direct Selling association just gave us more awards in one time, than any company in the 100 year history of direct sales! And as far as our products recognition—we are in major beauty blogs and magazines on a regular basis. 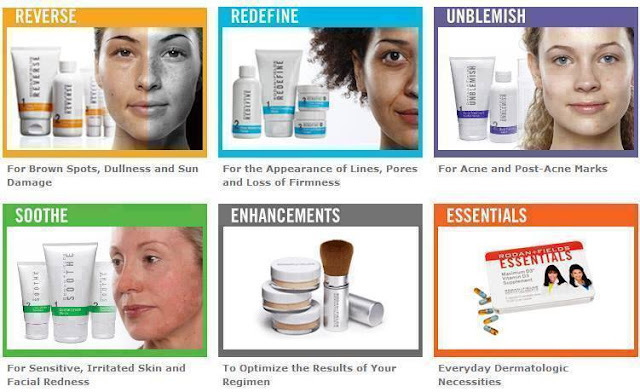 The most amazing part about that is that Rodan + Fields does not market. EVERYTHING is word of mouth. Why? Because the products do exactly what they say they do! And the doctor's believe this to the point that you can return empty bottles for up to 60 days after purchase for any reason! Each regimen is designed to target a specific skin-related concern (aging skin, acne, sensitive skin and sun damage). All of the products are based on the Multi-Med Therapy philosophy of combining the right ingredients, in the right formulations, and using them in the right way to achieve REAL BENEFITS. Plus we have some great enhancement and essential products for body, eyes, and lips. Not sure what would be good for you? Feel free to take this solutions tool and email yourself the results. It's a great starting point for you and I to discuss some options for your concerns! 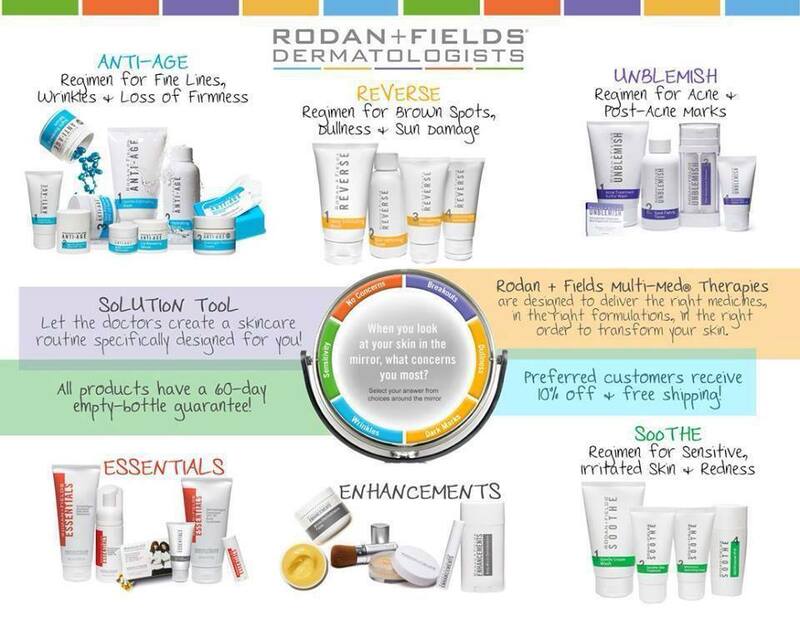 I am so passionate about these products and can’t wait to share them with you!